LAKEWOOD RANCH, Fla., September 20, 2018 – Real estate developer Pat Neal wants to build homes that small families and young professionals can afford. Demand for entry-level homes – those that cost less than $250,000 – continues to dominate Florida’s housing market. Neal Communities’ Rose Cottage, first introduced in 2008, is a 1,200-square-foot home with two bedrooms, two bathrooms, a kitchen, living room and attached garage. Design emphasis for this home was in the master bedroom, which includes a walk-in closet and shower. Starting price for the home was $122,900 and first-time homebuyers as well as empty-nester retirees lined up to buy it. The Rose Cottage was so popular that Neal expanded his cottage offerings to five designs, including a two-story configuration with three bedrooms called the Gull Cottage. 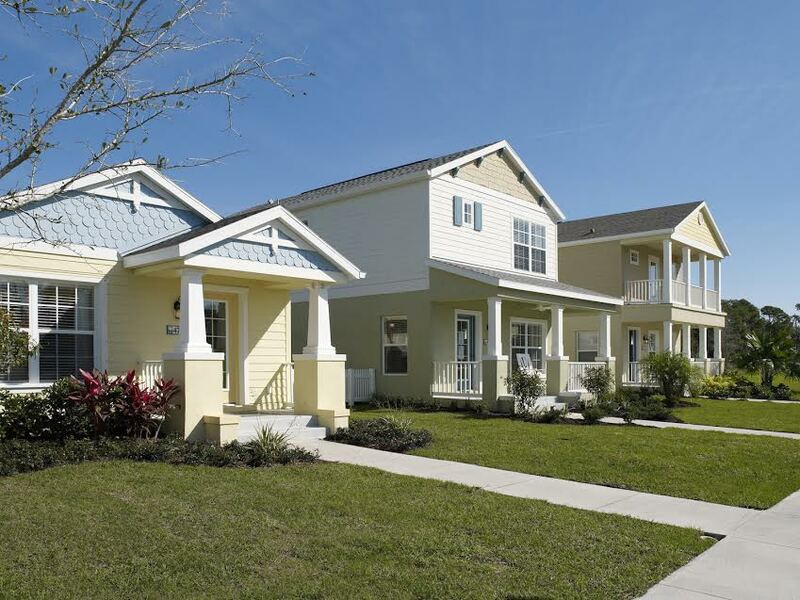 The cottages were offered in four communities, including Forest Creek and Silverleaf in Parrish, River Sound in Bradenton and Grand Palm in Venice. An estimated 700 cottages have been sold to date. Everyone knows that it is hard for a working-class person in our state and region to have a home with a mortgage payment they can afford. But recent increases in tariffs by the Trump administration – in addition to rising costs in land, labor and regulatory fees – have made this type of home virtually impossible to build and sell. Neal conservatively estimates that increases in steel, aluminum and lumber bring over $10,000 in additional production costs per home. As a result, Neal made the difficult decision to discontinue building cottage homes. Neal Communities sold the final cottage in September to Ryan Perry, a local marketing professional, for $244,638. Neal cottages are constructed from Canadian lumber and steel, both of which are subject to heavy taxation under the new laws. Aluminum is also being sold with new premiums. Although many companies have passed these costs onto the consumer, the new pricing has shrunk the market, with virtually none willing or able to buy a cottage over $300,000. Neal adds that a typical first-time homebuyer uses financing and additional costs along with heavy down payment requirements have frozen many people out of the market. Neal isn’t discouraged yet. He is currently working on designs and plans that may be able to circumvent the rise in production costs while also providing affordable housing solutions. With over 40 years of building award-winning homes, Neal Communities has over 90 successful communities throughout southwest Florida. The Lakewood Ranch-based builder was named the Professional Builder 2015 “Builder of the Year” and was named one of 2012's “America's Best Builders” by BUILDER Magazine and voted the “2013 Best Residential Builder in Southwest Florida” in a readers’ poll sponsored by Gulfshore Business Magazine. The company is ranked No. 1 locally by Metrostudy and by Hanley Wood Market Intelligence based on number of home sales and ranked nationally among the top 50 builders by BUILDER Magazine. To date, Neal has built over 13,000 homes in southwest Florida. As the area's largest and most established, locally owned and operated private builder, Neal Communities is continually striving for excellence in every aspect of the home building and development business. Neal Signature Homes, Neal Land Ventures, Charlene Neal PureStyle, Waterscapes Pools & Spas, Neal Communities Funding, Fiducia Insurance and Allegiant Title Professionals all contribute to the firm's continued, record-setting local success. The company's honors and accolades include numerous Parade of Homes awards, 50 Aurora Awards, five Best in American Living Awards and hundreds of local and regional industry awards. For more information, please visit www.NealCommunities.com.